Restless Jo has nominated me as part of the booked.net challenge to list 5 places I’d be happy to go back to. 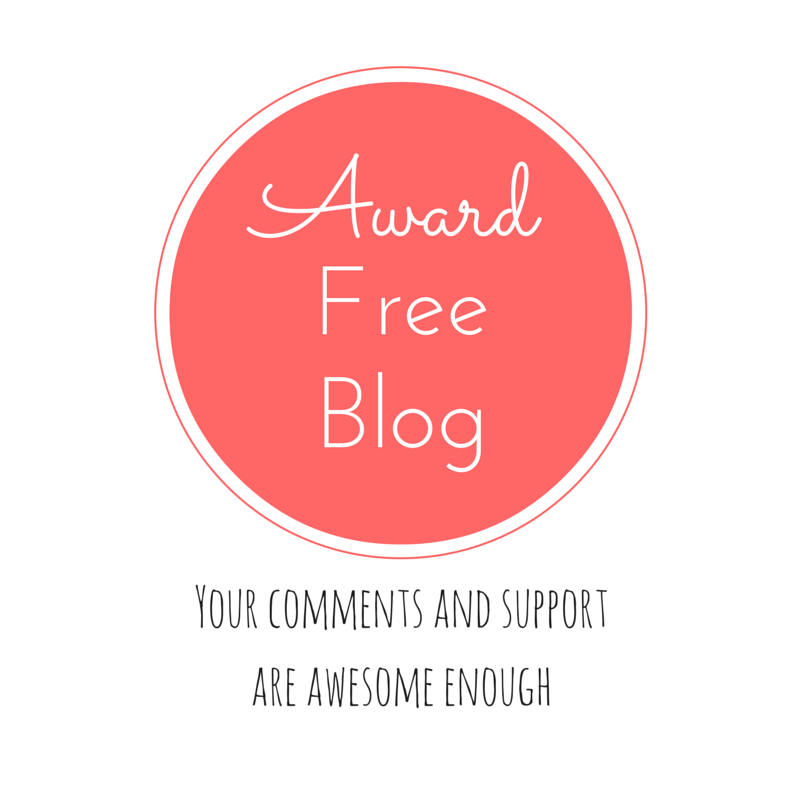 Whilst I’m not going to enter the competition myself, I thought it was a very interesting idea for a blog post and I’d be happy for Jo if she was selected as the winner! For me the fun part has been to try and select out of the many wonderful and varied places I’ve been to, just 5 to return to! This had been on my wishlist for ages and did not disappoint. There are prettier capitals and much of Unter Den Linden was a building site with cranes everywhere, interspersed amongst the reconstructed historical buildings. However the wonderful way Berlin has survived over the centuries is borne out in today’s modern city. The museums, the buildings, the arts and music scene, the way the city is reinventing itself after the end of the Berlin Wall era, make it a fascinating place to visit. We stayed 8 nights and only scratched the surface of what there is to see and do. Highlights included walking tours, a day out to Potsdam (a monument to the Hohenzollern monarchy with stunning palaces and beautiful parks and gardens), the Reichstag Tour (see here for my account) and exploring the many quaint cafes, bars and eateries dotted all over the city including our local favourites at Hackescher Markt. The Nazi era is not shied away from and the Holocaust Memorial and a trip out to the Sachsenhausen Concentration Camp are sobering and highly moving experiences. The impressive modern main railway station, the Hauptbahnhof, is worth a visit in its own right. The public transport system is excellent and it was very easy to find our way around. 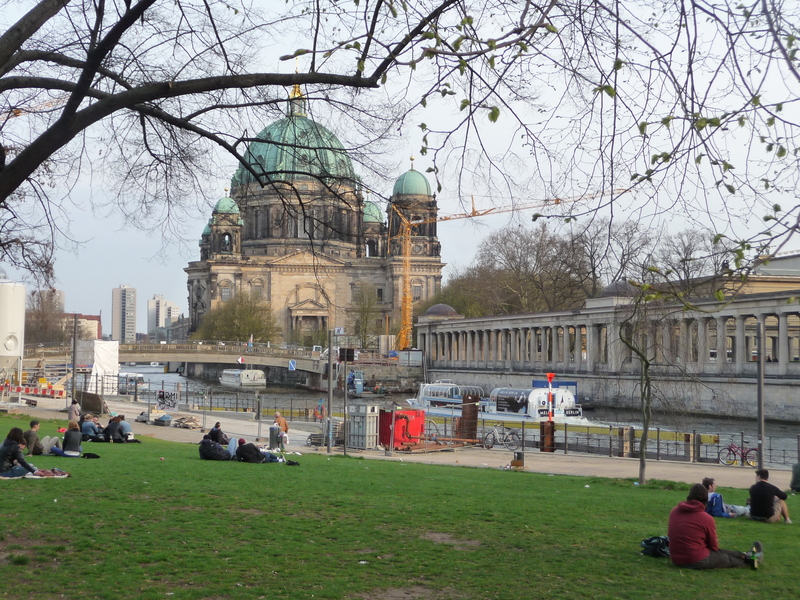 Berlin is definitely “a place to go back to”! 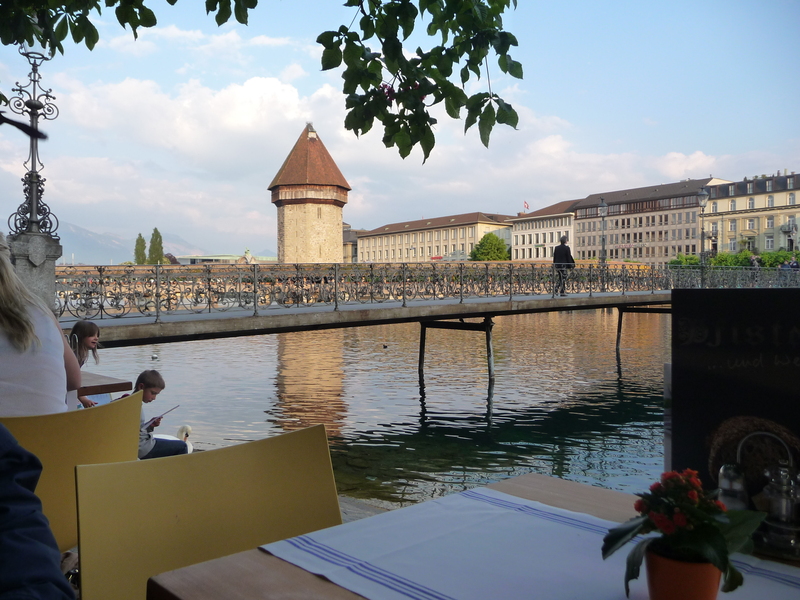 Lucerne is a simply beautiful part of the world and just keeps drawing me back. Sitting on the River Reuss, which flows rapidly through the old town, with a backdrop of mountains and at the head of Lake Lucerne (Vierwalderstaettersee), it is a magical place. There are mediaeval bridges, cobbled streets and beautiful little eateries clustered round the banks of the river. There are good walks around the ramparts of the “Old Town” walls, and attractions such as the famous Museum of Swiss Transport and the Lion Monument (the Loewendenkmal, which commemorates the massacre of Swiss Guards in 1792 during the French Revolution). The highlight for me though is cruising on the lake. There are many boats and ships that ply their way round, stopping at the little towns and villages that nestle along the shore. The scenery is breathtakingly beautiful and sitting on the deck, gazing out at the mountains and green meadows, is a wonderfully relaxing experience – I will keep coming back! Regional Centre and Good Touring Base (a smaller city or large town that makes an excellent base for touring the surrounding areas and which is still small enough to retain the charm of a small town). Close runners up Koblenz in Germany, Thun and Interlaken in Switzerland, Bolzano/Bozen in northern Italy (see my post here) and Coutances in Normandy, northern France. 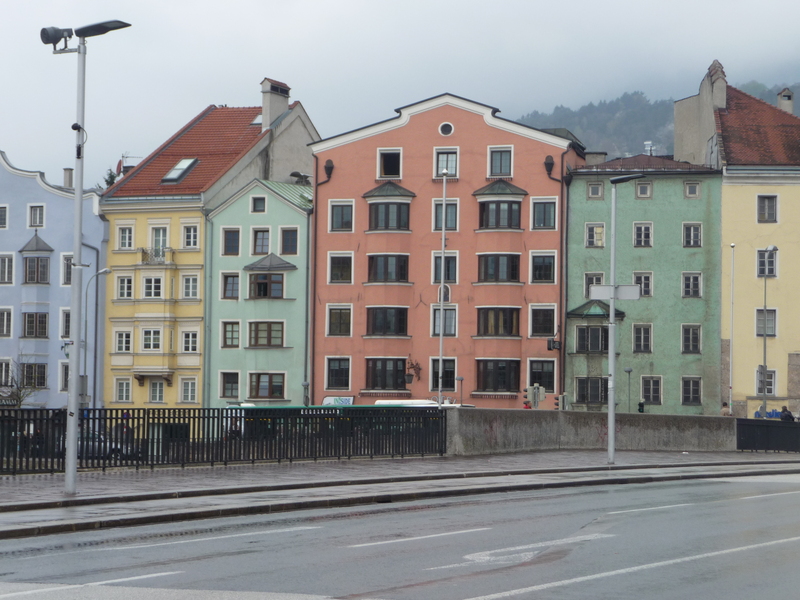 Innsbruck is a city with the charming feel of a small town. The capital of the Austrian Tyrol, it is set in a superb location with good transport links to just about everywhere (east/west and north/south). We took day trips up to Salzburg (2 hours away), across the border to Bavaria (only 40 minutes away) and into northern Italy and the South Tyrol (see here to read about our day trip over the Brenner Pass to Bolzano/Bozen). I loved the pretty painted houses that overlooked the River Inn – they had a unique charm. The Nordkette mountain dominates the scenery too and was well worth the trip up the “Nordkettenbahn” to get there. There are Hapsburg palaces – on a smaller scale than Vienna but no less impressive, a pretty Altstadt (Old Town), delicious Tyrolean food and friendly hospitality. I have already earmarked Innsbruck as a place to go back to – next time hopefully for the Christmas Markets one year – it would be a fairytale experience! South Island New Zealand So beautiful! Akaroa, Greymouth via the Tranzalpin Express, Christchurch (regenerating after the devastating earthquakes) and Lyttleton. Excuse the date on the photo – this was taken with my old camera when I wasn’t experienced in the wonders of the digital world and I had no idea how to remove the date and time from the photos I took! 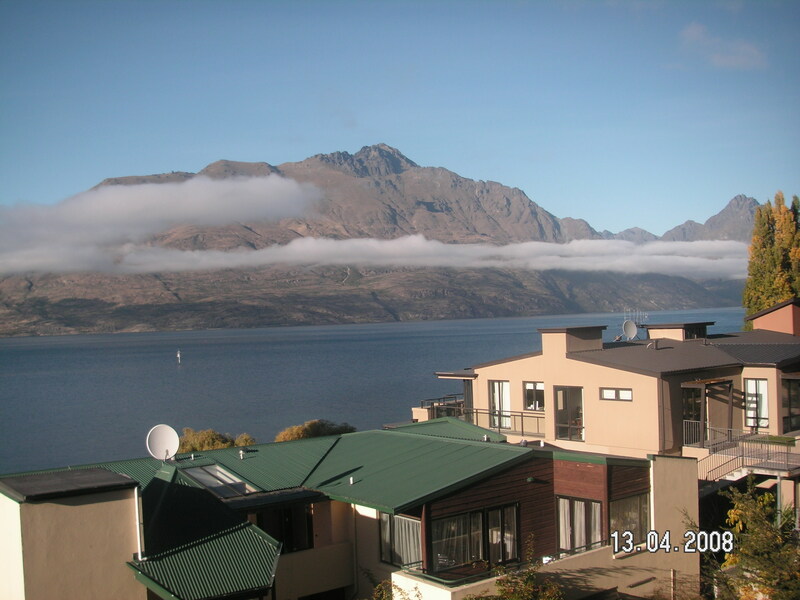 This was the view that greeted us when we drew the curtains back on our first morning in our Queenstown Hotel! It is the definitive photo to sum up the South Island of New Zealand – one of the most beautiful and remote parts of the world. The wild gales that sweep in from the Antarctic have helped to shape the rugged scenery; mountains, lakes and rivers. The Southern Alps form the backbone of the South Island and there is a thriving ski industry based in Queenstown and other resorts. There are numerous opportunities for adventure sports if you wish to partake (I don’t!). We took a cruise out along Milford Sound (one of the many inlets and fjords that abound along the coast) – simply breathtaking. Earlier from our previous base in Christchurch, we had taken the TranzAlpine Express on its spectacular journey over Arthurs Pass and down the other side to the port of Greymouth in the west. It must rank as one of the great railway journeys of the world! Sample some of the many wines that are produced in the world famous Marlborough Region or take a day trip out to Akaroa, a little corner of France in New Zealand. In the early days of European colonisation, the French established a settlement at Akaroa in 1840 and the town still retains a strong French influence. The main street is Rue Lavaud with several other “Rues” nearby, Jolie, Balguerie and Benoit to name but a few. You can purchase provisions from La Boucherie and Deli and we enjoyed a superb lunch on the veranda of L’Hotel Boutique Hotel! The people of South Island are friendly and very resilient. I’d like to go back there someday to support the tourist industry which is rebuilding in Christchurch after the terrible earthquake in 2011; already according to my uncle who lives there, the city is flourishing again and rebuilding with a renewed vigour! Australia – Rather a large category and the list is endless but apart from the obvious capital cities I’d recommend Tasmania (Hobart is wonderful – historic and charming) but also head out for a remote and beautiful escape from the stresses of modern life to the rugged west coast and the pretty little town of Strahan. Noosa on the Sunshine Coast of Queensland, Mollymook and Ulladulla on the southern New South Wales coast are all attractive towns that make wonderful holiday retreats. The Great Ocean Road Victoria and Barossa Valley in South Australia are a couple of other areas well worth exploring too. This is “must” place to visit if you’re ever lucky enough to find yourself in Western Australia. Only a couple of hours or so south of Perth (by car), the Margaret River Region is a stunning area of outstanding natural beauty and national parks. Geographe Bay is in the more sheltered northern part of the peninsula, dotted with pretty tranquil bays such as Meelup Beach and Eagle Bay. 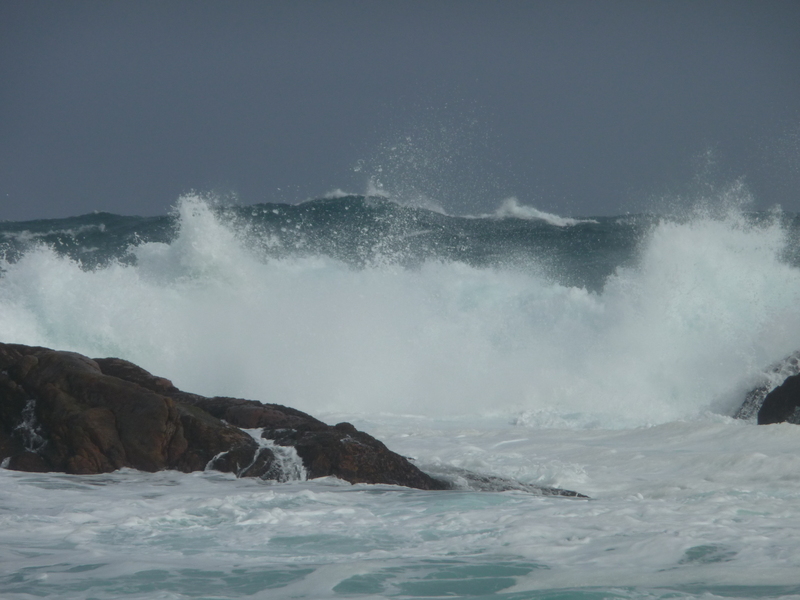 Once you round Cape Naturaliste point and lighthouse, it is a different story altogether and here the Indian Ocean thunders into the coast in the most spectacular way. Yallingup in the north west, is a pretty little coastal village and a beautiful spot in which to spend a long weekend away from Perth. The climate and soil are conducive to producing superb wines and the Margaret River wine region is now recognised world wide. Most of the wineries offer cellar door tastings and then you can stay on for a delicious meal afterwards. There are so many outstanding restaurants and cafes to choose from, which make good use of the excellent local produce. Many artisans have also been drawn here and have set up studios, galleries and craft shops. It is a place that I will always love going back to! How about everyone else? I’d be interested to hear other people’s choices for their “5 Places To Go Back To”. Thanks Jo for the nomination and I wish you good luck for the competition and hope you win! Thanks Laia 🙂 If you have any photos of Norway you could do a post on it – I’d love to read one! I saw a trip on the railway from Oslo to Bergen once and it looked spectacular so I’l love to do that one day and my friend has sent me some internet links to the Telemark website which is the region she lives in (in the south east of Norway) – it’s so beautiful! Wow, you have done an amazing job with this report. Many thanks for the link and for a wonderfully informative and inspirational post. Hi, I noticed your name on the list of the Top Destinations site (I’ve just been nominated too) so I naturally felt I should check out your blog as we are both called Rosemary! I haven’t been to Western Australia yet but hope to some time in the future. My blog is Aussie in France (http://www.aussieinfrance.com). I blog on my life in France (soon to leave Paris to live in the Loire Valley in our 400-year old house) and our holidays in Europe. We’ve just come back from Lisbon. We also do a lot of cycling . Thanks Rosemary for sending me the link to your blog! It sounds wonderful and I’m looking forward to checking it out.. Paris and a 400 year old house in the Loire Valley how beautiful 🙂 How did you like Lisbon our younger daughter has just been there and loved it? I can see why Lisbon attracts young people – it’s a very vibrant city. We enjoyed it although I wouldn’t rank it among our favourites. There are some wonderful places to see, but it is very delapidated and the public transport system is not the most efficient. Margaret River region- Had to include this because I do go back there, usually a couple of times a year! I love Queenstown, there is so much cool stuff to do there and it’s stunningly beautiful! All these places look stunning!